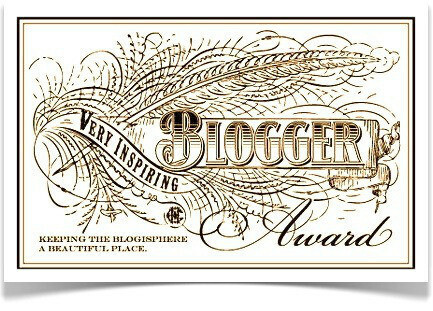 I’m very honoured to have been nominated for a Very Inspiring Blogger award by twelveweeketernities, thank you. I haven’t been blogging for all that long because a) I didn’t know how (and I’m still learning! ), b) I didn’t have the emotional strength to put my experiences in to words until now and c) I was worried that people might think it was somewhat ‘indiscreet’ to air so much of my blood and tear stained gynecological linen in public. I’m glad that I have started blogging, though, as I have found the process very cathartic and I have also discovered a wonderful community of inspirational and supportive people out there in the Blogosphere. Thank you, one and all. 1. I enjoy wild swimming and swimming outdoors and swimming. Did I mention I like swimming? 2. I baby my cats like a crazy cat lady in the making. 3. I am fascinated by religion and philosophy (even though I am not religious). I teach the subject and also organize a philosophy in the pub group. 4. I like my steak medium rare, but I was a vegetarian for 10 years. 5. I have traveled the full circumference of the earth twice, once taking only two weeks to complete the trip. 6. I have slain zombies in a dis-used shopping mall. It turns out, in a ‘survival’ situation, I’m a ‘lone wolf’ type, not sticking with any particular group of survivors, but forming transient allegiances as I go. Who knew?! 7. I have done a sky-dive with 50 seconds freefall. It was awesome, but once was enough! Just a little sketch I have done today. It’s not how I feel right now (so cancel the call to the men in white coats! ), but it represents how I have sometimes felt in the past. You may be aware that under Yellowstone National Park, Wyoming, USA, lies a caldera (http://en.wikipedia.org/wiki/Yellowstone_Caldera). If you like bad disaster movies, (and I do), you may already be able to picture the kinds of destruction and chaos that the release of such a force of nature would unleash; the potential for devastation, just under the crust. In the words of Newman and Baddiel’s (showing my age) History Today sketches (http://www.youtube.com/watch?v=9UMedd03JCA), That’s you, that is. That’s how I feel at the moment, anyway. Monstrous rage and heat and spiky bitchiness, bubbling, just under the surface. Beware, scratch it and you might glimpse the fire works. Sometimes, I speak and the words come out a little too loudly, with too much of an edge. An emotional geyser? Not quite. More like the emotional equivalent of a volcanic mud swamp, toxicly bubbling away. Sometimes I feel like, in side, my attitude stinks. Month on month on month, the surface breaks (almost breaks). Hormonal activity weakens the essential surface tension. Frustration. Disappointment. Inevitability. Self fulfilling prophecy. To be honest, I wouldn’t want to make my home in me, either. St Mary’s, London, also perform the TEG test (http://en.wikipedia.org/wiki/Thromboelastography), in which your blood is rushed to be tested straight away, while it’s still fresh to check for clotting disorders. I am due to have this test if and when I am next pregnant. If it is positive, St Mary’s will prescribe 150mg of aspirin. Many people, health professionals and lay people, advise and would be happy to take baby aspirin ‘just in case’ because it ‘can’t hurt’, and, in the months leading up to MMC3, before and during my pregnancy, I took it daily. I know it thins the blood, because at one stage I was covered in it. But that’s another story. I don’t think it did me any harm (except for maybe enabling me to implant a chromosomally abnormal fertilised egg – I wonder whether it contributed to my uterine lining being ‘less selective’). Baby 3 died of Turner’s Syndrome, and nothing on earth could have prevented that (except, perhaps me being 10 years younger!). Whilst it does not directly talk about aspirin here, part of their view is that many women with clotting issues mentioned above had perfectly normal pregnancies, so there must be something else going on. I haven’t seen the data, but that’s what they say. Instead, they recommend heparin injections during pregnancy, which they argue are more beneficial in promoting placenta formation and blood flow. I have been prescribed this for next time, also. So now I am in the difficult position of having two potentially conflicting action plans from two different top RMC clinics, not to mention the reluctance of my GP to order the heparin injections without first referring me to a haematologist. Lucky for me, it’s a moot point, for now! But I look forward (!) to arguing for my treatment plan with the top RMC consultants in the country the next time I am pregnant. Because that’s the kind of stress I will need at that point in time. I’m not a doctor, and I don’t know whether aspirin helps or not. But it is clear that the jury is still out, and more research is needed. It may not prove to be as benign as some people think it is. It certainly does help some women, but my worry is that if that isn’t you, it could just hurt. In February 2013 I spend a very upsetting morning Googling Asherman’s Syndrome on my phone in a hotel room in Yorkshire. It’s not something that I would recommend anyone do to themselves, ever. Yorkshire and hotels are fine, just stay away from Dr Google! I had been referred back to UCLH for investigations due to my periods becoming very short and light, and I was getting a bit worried that this would lead to implantation problems, and infertility. I had had 3 EPCS and one hysteroscopy, so I wanted to be sure that no damage had been done. I had been scanned on the Friday and this had revealed that I had an abnormally thin uterine lining (2.2mm, should have been 7mm). Everyone was very reassuring, and I felt that I was in good hands. A further scan had been arranged the following month. Asherman’s Syndrome is a condition caused by gyne surgery and subsequent infection in which scar tissue adhesions grow and fill or block the uterine cavity by basically sticking the sides together. Symptoms include light or absent periods. Worse, one article suggested that the ‘base layer’ could be damaged and the uterine lining would lose the ability to grow. Permanently. You can imagine that I had self diagnosed myself as incurably infertile by this stage and was beside myself with worry and anxiety. After having a bit of a word with myself (and a text to tell me that I had used up all of my data allowance on my phone), and a bit of comfort from my sister, I tried to put it out of my mind. I went back for a follow up scan at UCLH a couple of weeks later (inconclusive) and was booked for another one a couple of weeks later for further comparison. I felt I was in good hands, medically speaking, but I was fast losing hope of being able to conceive. Then I got pregnant for the third time, and everyone breathed a sign of relief and forgot about the threat of the dreaded Asherman’s Syndrome. Sadly, baby three was not for this world from the outset, as we would later discover (Turner’s Syndrome; another story for another day). After my referral to St Mary’s, I was scanned and was, again, told that my uterine lining was ‘abnormally thin’. There was also ‘something’ (possibly scar tissue) in there that would need further investigation. Another hysteroscopy was booked for three weeks later. I had gone to that appointment on my own for some reason (there were too many of them, I think my husband was on a course), and I had expected it to be routine, but when they told my that I needed more surgery, I burst into tears. I don’t know what I was expecting, but it wasn’t that. The dreaded Asherman’s was back on the table. The nurses assured me that it was a) only a possibility, and b) treatable, but it wasn’t a diagnosis I wanted to hear. As it turned out, it wasn’t Asherman’s at all, but a birth defect in the form of a heart shaped uterus. Professor Lesley Regan removed the dividing septum in a straight forward procedure, I was fitted with two coils and given a course of HRT for a month, and I am now (as far as I know) as good as new, uterus wise. I think the NHS is a brilliant institution. I have found, almost without exception, the staff to be kind and sympathetic. OK, so there has been the odd sonographer whose dropped a clanger of a comment (“there should be a baby there”), but, really, who really knows how to do small talk in these kinds of situations? After my repeat ERPC (Evacuation of the Products of Conception) after my second Missed Miscarriage (MMC), I was so weak, having lost a lot of blood, that a nurse had to hold me up as I nearly passed out in the toilet. The care I have received has been of a very high standard. Not to mention the excellent selection of opiates and the fact that it’s free at the point of care. I am very happy to live in the UK, and to have access to such services. The admin, on the other hand, is sometimes, frankly, bonkers. Point 5 of the Mumsnet Miscarriage Code of Care (http://www.mumsnet.com/campaigns/miscarriage-code-of-care) is joined-up care. Three times I have had to text the community midwife to say that I will no longer be needing her services. Three times. To be fair, most of my hospital notes have been sent on to my GP. UCLH (http://www.uclh.nhs.uk/ourservices/servicea-z/wh/gynae/gdtu/Pages/Home.aspx) is particularly efficient, always writing up the letter whilst you are there, giving you one copy and putting the other in the post. Most of the info from clinics at local services got to my GP, too. Sometimes letters arrive months after the appointment has taken place (I apparently had low vitamin D in October 2013, and got my results letter in March 2014). In one spectacular admin triumph, I once received 4 identical copies of the same results letter from St Mary’s, London. After MMC 3, I wanted to be referred to St Mary’s without delay, because I knew that there would be a wait, and I wanted to get on with it. It was not a problem to get my GP (who is excellent) to agree to refer me, but the system just couldn’t cope with a non-local referral. After several letters asking me to choose one of four local hospitals and a lot of emails and phone calls, I finally got my St Mary’s appointment. But I had to work hard to make it happen in a timely manner. My (and Mumsnet’s) point is this: women after MC are traumatized and vulnerable. They do not need to spend weeks/months researching their options, making phone calls and chasing emails. They shouldn’t have to call local services to tell them that their baby has died, and they certainly (and I am so lucky and glad that this has not happened to me, but I know plenty of women to whom this has happened) should not have to suffer reminders about routine scans. Sometimes it seems that the NHS grinds under the weight of its own admin and procedures. Individuals are lovely, but the dots don’t join up. What I can tell you is that, at the moment, if you want joined-up care, you’d better get ready to be your own secretary until it’s sorted. Chase every results letter, ring and confirm every appointment. Find out the names and numbers and email addresses of every consultant’s secretary. Be the squeaky wheel. You may wait a long time, otherwise.